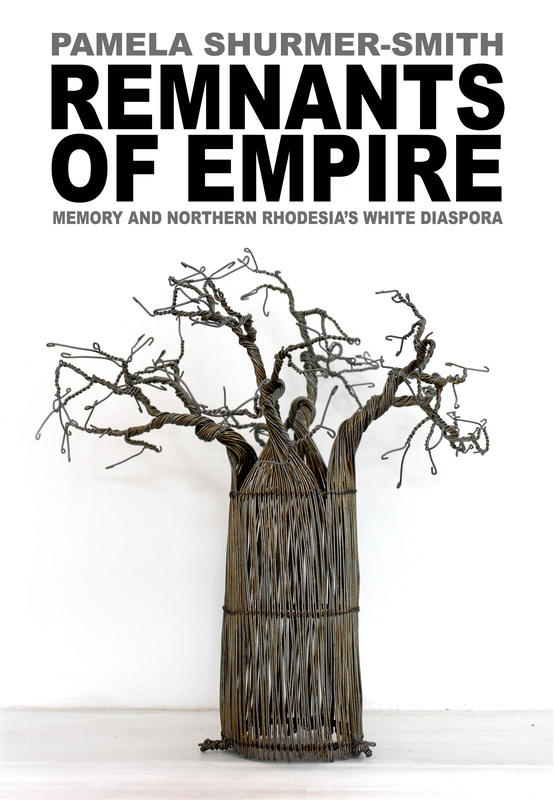 I grew up in Northern Rhodesia and wrote this book because I wanted to catch the essence of life for a wide range of people of European descent in late colonial times and also to show how they coped with the “end of empire”. When I began the research many people (usually women) told me that their lives had been too “ordinary” to be worth writing about. Now I just don’t believe that there is any such thing as an “ordinary” life and fortunately a little cajoling usually resulted in interesting experiences and perceptions. As we look at them now, few would consider that there was much that was “ordinary” about any of those lives. I am hoping that this site will coax people to bring their own and their parents’ unpublished memoirs, diaries and letters out of storage. It would also be lovely if it were to encourage more people to start writing their own memories too. Contact me if you have anything you’d be willing to share. We aren’t supposed to judge books by their covers, but everyone does; sumptuous oranges and browns, elephants and sunsets, have become conventional for books about Africa but Remnants of Empire’s cover is stark and almost monochrome. This isn’t because I don’t like orange and brown but because I wanted to suggest that many people feel that the sunshine has drained out of their lives. I also wanted to suggest the shades of grey hidden in any argument, especially arguments about the blackness and whiteness of colonial society. 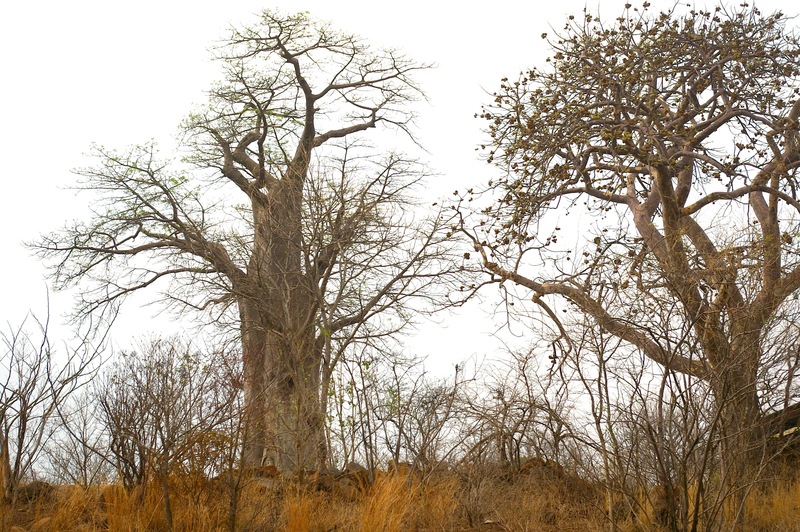 So there is a picture of a solitary iconic baobab, but not a “real” tree – it is one made of twisted wire, devoid of context but with a little hint of copper. I wanted something to stand for the stuff that people of the diaspora brought with them to remind them of what they left behind. Here’s a real baobab for people who feel cheated by the wire one (this one is near Livingstone). Unlike Zimbabwe (Southern Rhodesia) and South Africa, Zambia (Northern Rhodesia) lacked its Doris Lessing and Nadine Gordimer to provide an image of its colonial society. Pamela Shurmer-Smith’s collection of oral evidence from the relatively small number of white people who settled there prior to independence in 1964 will thus fill a gap, and appears just in time to capture the very varied testimonies of the ‘white Diaspora’. Her book is particularly valuable for putting to rest the common stereotype of the white settler sitting on his veranda enjoying his sundowner while his labourers toil in the fields. Her informants varied tremendously in background, from the Afrikaner miner who brought his racist ideas to the Copperbelt to the paternalistic civil servants sent out by the Colonial Office, and those who fled the austerity of post-war Britain to find a new life in the sun. The story of Northern Rhodesia becoming Zambia is like a patchwork quilt, and that is exactly how this book portrays it, relying on the words and phrases of the people who lived it to tell the tale. It is the only way such a diverse experience could be given a balanced exposition. My father was District Commissioner at Broken Hill (now Kabwe) at the time of independence. He stayed until the end of 1969, working initially in the Zambian government’s ‘Youth Development’ ministry. I was born in Kasempa Mission Hospital, and at school in Broken Hill’s Parker Primary and then Lusaka Boys School before being sent south to Springvale in Southern Rhodesia. When I moved to the UK, I went to a school where the bursar was another DC from Northern Rhodesia. With that background, of course many of the names and almost all of the stories are familiar to me. We were in no way refugees, and I have been lucky all my life, but I find my memory of the shock of being uprooted from Africa and replanted in the UK is echoed and re-echoed in these stories. It was never one of the glamorous countries of Africa, but NR/Z put a marker in all our souls – witness the associations that still meet all over the world. Anyone who was there, or anyone who has the slightest interest in a balanced view of this part of history should read this book. An interesting and balanced account of the lives of those who lived, stayed or left Northern Rhodesia/Zambia during the transition to independence. The many first-hand stories of people give the book a personal touch which means readers are not subjected only to the opinions of the author. As someone who spent many years in Zambia I found the book informative and interesting without being overly academic. A fascinating piece of research, the book focuses not only on a largely neglected corner of British Imperial history, but also on the double-dealings of nostalgia and the treacherous cul-de-sacs of shared memory. Utterly unique in scope, this is a must read for anyone with any attachment to Central Africa or a wider interest in colonialism (and its far from simple aftermath).